The improved healing from bioactive glass was initially attributed to its ability to form a bone-like mineral layer on its surface when implanted. Typical 45S5 bioactive glass is composed of irregular particles with a broad size range. 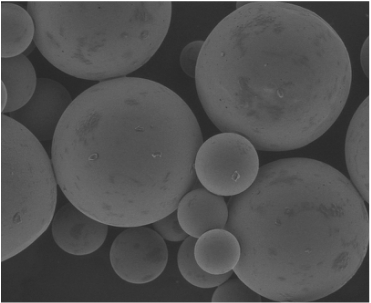 Spherical bioactive glass particles with a narrow, bimodal size range have been shown to increase the bone formation properties of 45S5 bioactive glass. 1. Hench L. et al. “Bonding Mechanism at the Interface of Ceramic Prosthetic Materials.” J. Biomed. Mater. Res. Symposium. 2: 117-141 (1971). 2. Oonishi H. et. al. 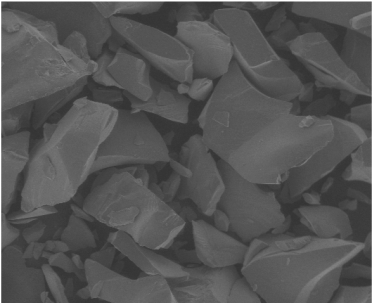 “Particulate Bioglass Compared with Hydroxyapatite as a Bone Graft Substitute.” Clin. Orthop. And Rel. Res. 334: 316-325 (1997). J. Biomed. Mat. Res. 55: 151-157 (2001). 4. Hench L. "The Story of Bioglass." J. Mater. Sci. : Mater. Med. 17: 967-978 (2006). 5. Borden M. US Patents 8,506,981 and 8,871,235.